At a juncture where India and its billowing population is giving in to the swing called retail, Tai Industries Limited has come up with its large format retail chain C3 - The Marketplace. 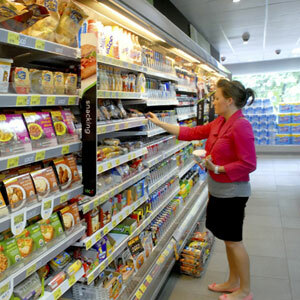 C3 is the blend of Cost, Comfort and Convenience - a combination that has appealed to an extensive base of consumers. These stores exhaustively cater to daily needs in an ambience of comfort. C3 has its presence in City Centre Mall, Salt Lake - a supermarket that approximately covers an area of 8600 sq ft. Under one roof, C3 stuffs over 25000 product SKUs across the verticals of food & grocery, spices, ready-to-eat and ready-to-cook food items, low alcoholic beverages assorted variety of imported health and specialty food, frozen meat, vegetables and fruits non food items such as FMCG products, home care, personal care, home dècor. The store at City Centre also has a liquor license to sell beer, wine and low alcoholic beverages off site. C3 moves ahead with the mission of optimum customer satisfaction and aims at a sustained growth following demand of the evolved consumers.